The mission of the Acolyte Guild is to lead the youth of St. Paul’s on a path of Christian faith and spiritual growth as they assist the clergy of St. Paul’s in worship. Adult acolyte masters provide training and leadership to acolyte youth before and during services. Youth can receive introductory training and begin serving after their 8th birthday. 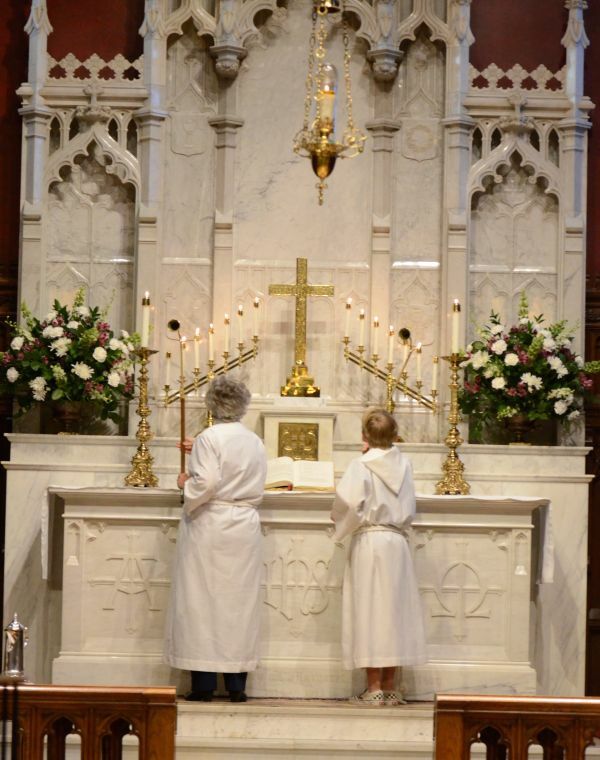 In addition to serving at the 9:00 AM & 11:00 AM services, acolytes participate in special services at Christmas, Easter and the annual Liturgy Leaders Festival at St. Paul’s.